The OPR team returned from a 4-day copy run in Charleston and Richwood, WV. All total we came back with a little over 100 photos. We were well received and got great publicity before and during our event. We would like to thank Elizabeth Frazier, Head of Reference Services, of the Kanawha County Library in Charleston. The meeting room and the help we received for setting up was great. Thanks also goes to Robin Bartlett, Library Director, for letting us set up in their beautiful library in Richwood, WV. So much of WV is still rebuilding and the sad part is that some of the libraries were destroyed by the flooding. The residents talked of it being a 1,000-year flood and in the mountain areas the flooding was compounded by the rain coming off the slopes and the rivers rising at the same time. The force of the flooding took out roads, bridges, and 1,200 homes. The biggest tragedy was the loss of 23 lives. 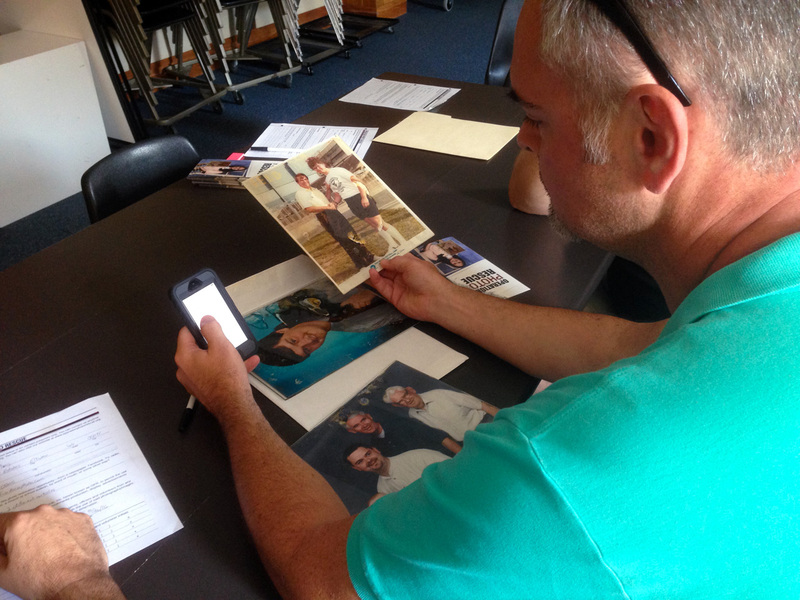 While news of OPR coming to WV was being spread by the press and social media: we were also getting calls and emails wanting to know how to pass on information in Baton Rouge, LA about how to salvage their flood damaged photos. Several inquiries were for us to come to Baton Rouge, but we couldn’t so soon after the WV copy run. Due to funding and it being to soon for the next copy run to Baton Rouge we plan on a copy run to the East Baton Rouge Parish Library, LA on April 21-22, 2017.